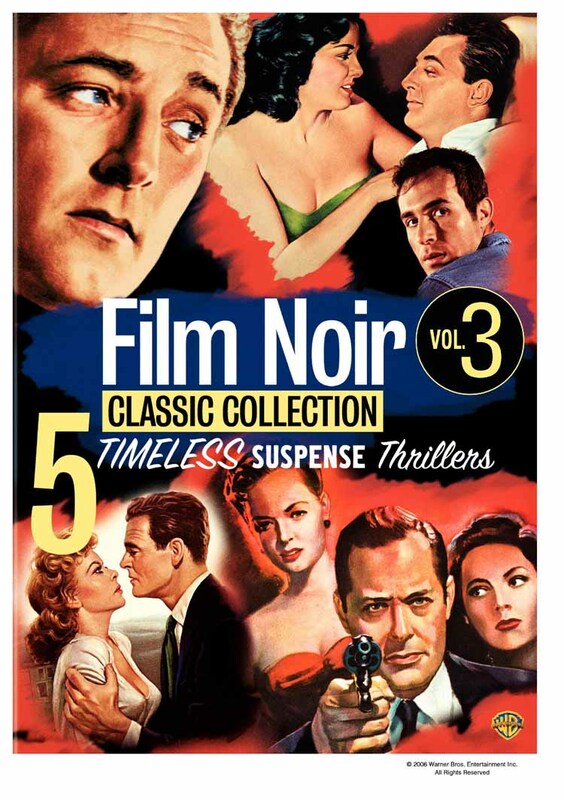 BURBANK, Calif., April 17, 2006 - The third time's the charm when Hollywood's legendary tough guys and femme fatales collide once again in The Film Noir Classic Collection Volume Three, debuting July 18 from Warner Home Video (WHV). The Collection includes five smoldering suspense thriller classics, all new to DVD: Border Incident, His Kind of Woman, Lady in the Lake, On Dangerous Ground and The Racket. In addition, available exclusively with the set, will be a bonus documentary -- Film Noir: Bringing Darkness to Light -- a vital companion piece that contains an elucidating overview, complete with clips and expert commentary. The six disc collection will be sold as a set only, for $49.92 SRP. Orders are due June 13. The movies star film noir icons Robert Mitchum, Jane Russell, Robert Ryan, Ricardo Montalban and Ida Lupino, among others, and feature brand new commentaries from film historians. Says George Feltenstein, WHV Senior Vice President of Catalog Marketing, "Over the past two years we've seen real success with our first two Film Noir Classic Collections. The screen equivalent of the great mystery novels from authors like Raymond Chandler, we know these classics are celebrated for their stylishness, subject matter and certainly as thrillers. The outstanding reviews and sales of the prior collections proved to us that the public is as passionate as ever about these films and we're proud to be releasing another terrific crop of the genre's best and most requested." "Film Noir" (in French, "black film") is at its core pessimistic with stories of people trapped in a world of alienation, disillusionment, corruption and moral ambiguity. 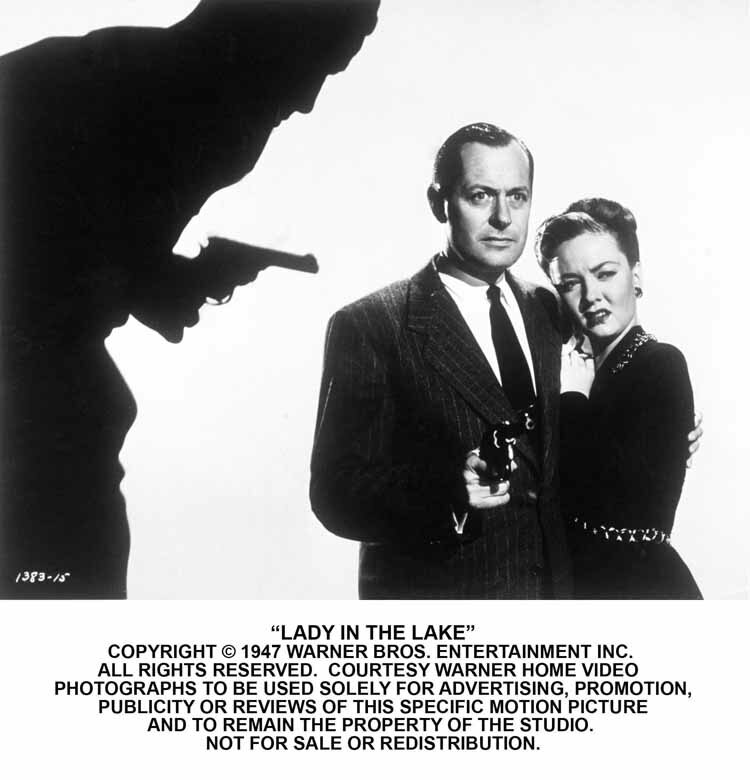 Developed during and after World War II, classic film noir took advantage of the post-war ambience of anxiety, pessimism and suspicion and counter-balanced it with the optimism of Hollywood musicals and comedies of the same time where flattering soft lighting, deluxe interiors and elaborately built exterior sets were the rule. 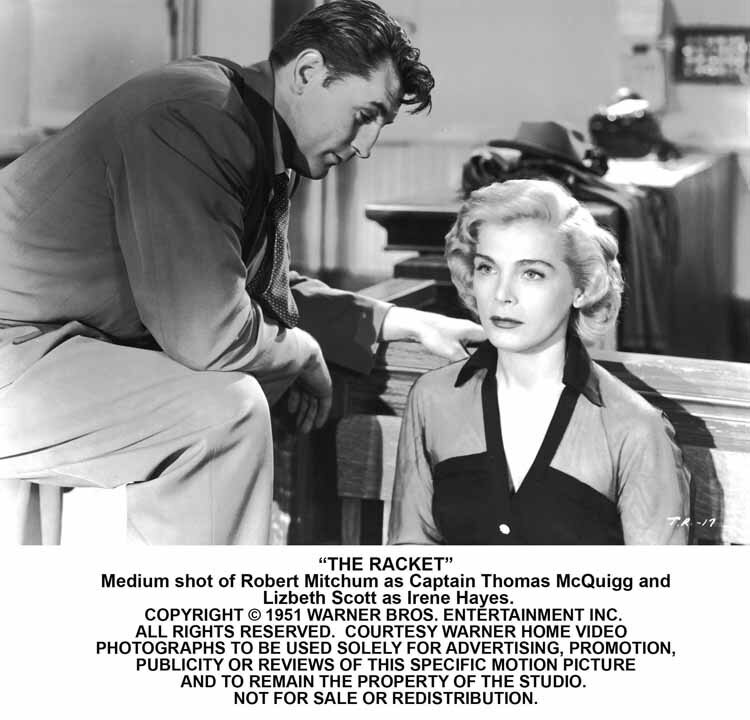 Film noir re-influenced mainstream cinema by creating bleak but intelligent dramas in real-life urban settings and using unsettling techniques such as skewed camera angles, expressionistic lighting, deep-focus camera work and confessional voice-overs. This steely thriller stars Ricardo Montalban and George Murphy as agents from each side of the Mexico-California border. Their job: catch the thieves, murderers and moneymen who prey on illegal aliens desperate to make a few American dollars sweating as farm laborers. Anthony Mann (Winchester '73, The Naked Spur) directs, turning his lens to the beauty and the terror of stark desert wastelands. Blending classic film noir with a surprisingly contemporary plot, Border Incident is a relentless, cutting-edge gem of the genre. 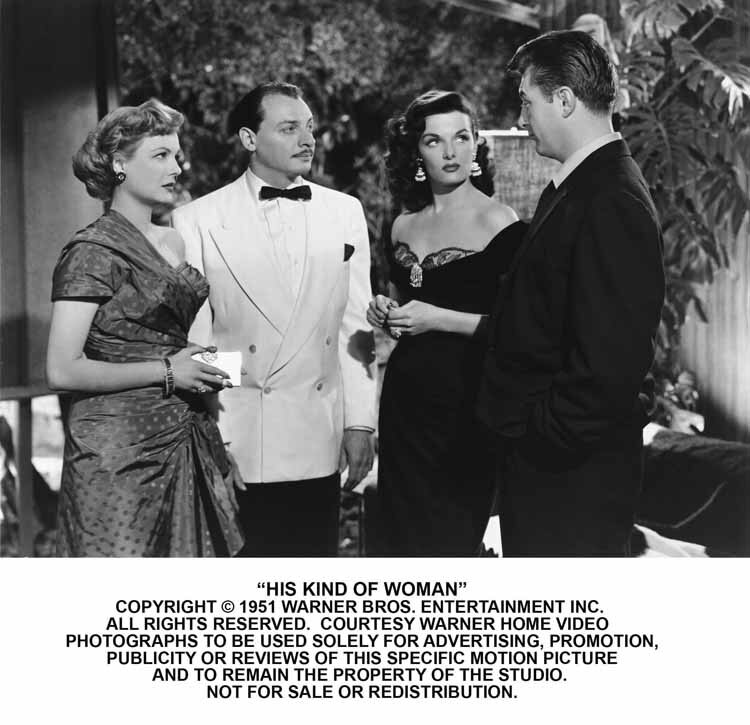 His Kind of Woman is a film-noir fan's kind of movie: dark, sassy, surprise-filled. Robert Mitchum plays Milner, who finds the romantic stakes raised when he meets a self-proclaimed heiress (Jane Russell, in the role that launched her devoted friendship with Mitchum). The mystery is twisted, the sets are astonishing, the cast is large and talented. But what makes this cult favorite stand apart is Vincent Price's hilarious turn as a self-absorbed, gun-collecting Hollywood star. Mitch gets the girl. But Price steals the movie. Robert Montgomery stars in and directs this snappy adaptation of Raymond Chandler's hardboiled detective mystery. Montgomery portrays Marlowe, private eye. As director, he's also the film's private eyes, using a subjective camera presenting the action from Marlowe's point of view. The case begins when Marlowe sets out to find the missing wife of a publishing magnate. Several smack-arounds, one dead gigolo, a few angry cops, a booze-soaked frame-up and one dame in the lake later, Marlowe finds the killer... and finds he's looking at the business end of a gun. Jim has seen it all on the city's shadowy streets: killers, thugs, pimps, sadists. And the experience has cost him his soul. Ironically, his redemption may come in his next case, a brutal murder that brings him into the open sky and white light of the countryside... and into the arms of a beautiful blind woman. Directed with intensity by Nicholas Ray (Rebel Without a Cause, They Live by Night) and featuring a haunting score by Bernard Herrmann (Psycho), On Dangerous Ground is a taut, rapid-paced manhunt with two fine stars at its tortured heart. Noir master Robert Ryan captures Jim's agonized self-hatred. And Ida Lupino burnishes the screen as the sightless angel whose compassion gives him one last chance at life. Nick Scanlon (Robert Ryan) is an old-fashioned kind of gangster. If someone crosses you, settle it with a fist or a bullet. Tom McQuigg (Robert Mitchum) is an old-fashioned kind of cop. Grab the bad guy, not the bribe. But they're both living in a corrupt new world of smooth operators on both sides of the law, efficient green-eyeshade types who run a crime ring like a corporation. They won't mind if Scanlon and McQuigg square off... if they bring each other down. Ryan and Mitchum, who co-starred in the groundbreaking Crossfire (part of Warner's Film Noir Classic Collection Volume 2) reteam for another tense, character-driven, twist-laden film noir.